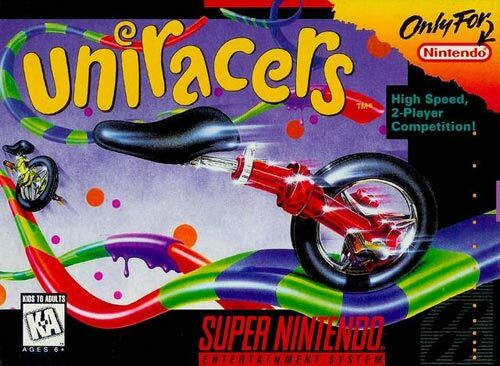 Uniracers for Super Nintendo allows you to race your single-wheeled cycle through all sorts of madcap environments reaching mind-blowing speeds and pulling off stupendous tricks. Try your hand at flips, twists, turns, and jumps, as you encounter ramps, half-pipes, and hills in a variety of environments. Race against the clock, challenge a friend to a head-to-head match-up, set up a customized tournament, or take on an eerie ghost racer to become the Universal Champion.